I love having friends like Jen at Jenny At Dapper House to share fun things like this easy paper weaving kids crafts idea with us here. I am seriously the most uncrafty person around, but I love trying fun things like this with the Wee Child. It’s a great way to teach kids about colors, or to create a fun craft you could use for a holiday like St. Patrick’s Day. 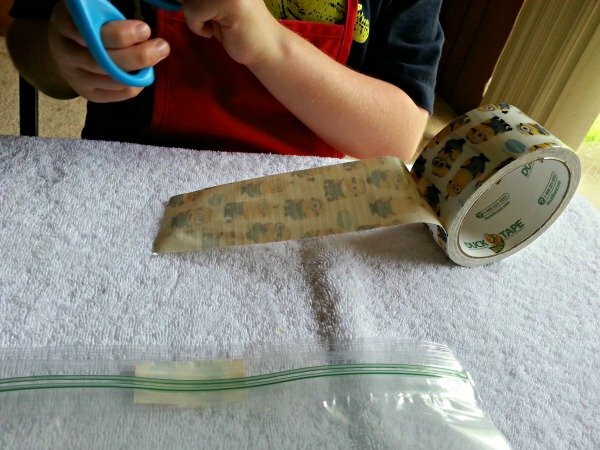 I loved working with the Wee Child when he was younger on fun kids crafts projects like this because they gave me the chance to help him with cutting skills, coordination, and patterns. While this is a rainbow pattern, you could easily use specific colors and create a fun pattern for team colors, Christmas, Thanksgiving, 4th of July, or Valentine’s Day. It doesn’t have to be just a rainbow craft project, but a fun project to teach kids a new skill. 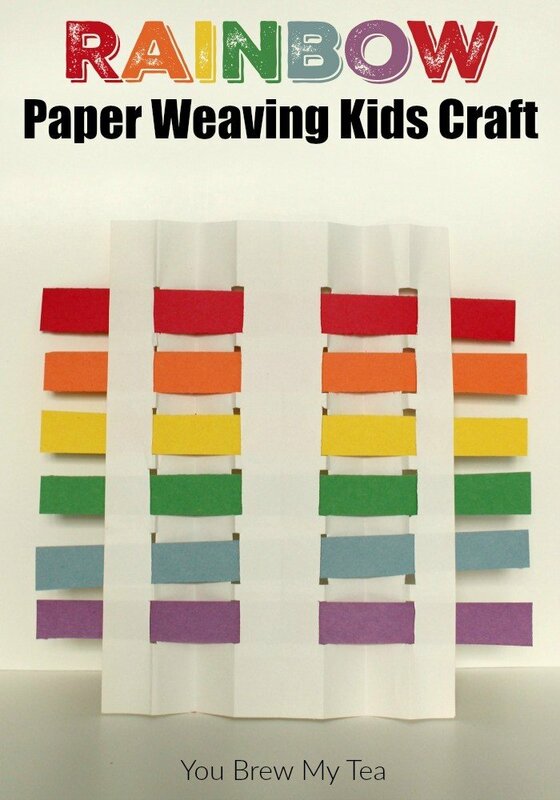 I love how this paper weaving kids craft teaches younger kids a how to fold, measure and cut. Add in the great lesson colors and the rainbow and it can be woven into a perfect homeschool lesson! 1.) 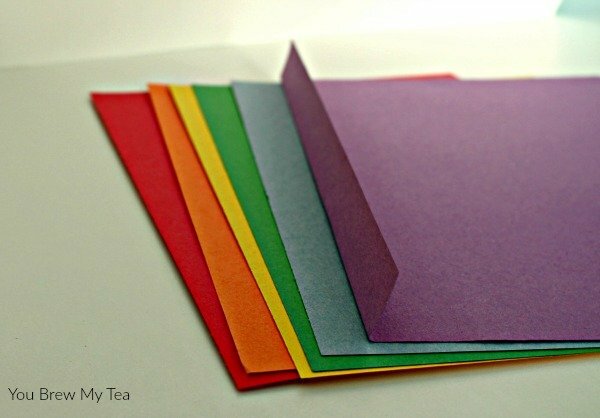 Fold the colored papers into strips a tiny bit smaller than 1 inch wide. 2. )Cut the strips and set aside. 3.) 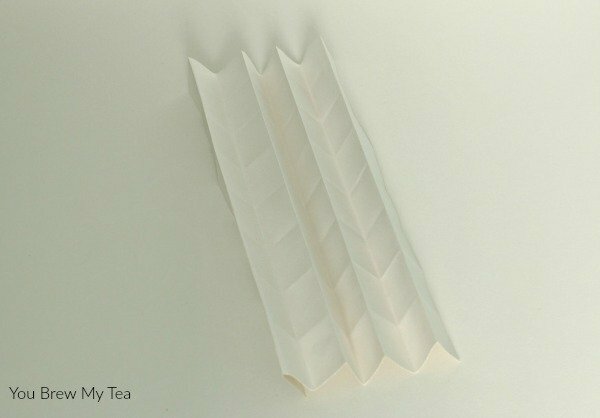 Using accordion folds, take the white piece of paper and make 8 folds down the long length of the paper. Then, make 7 folds down the short width of the paper. 4.) 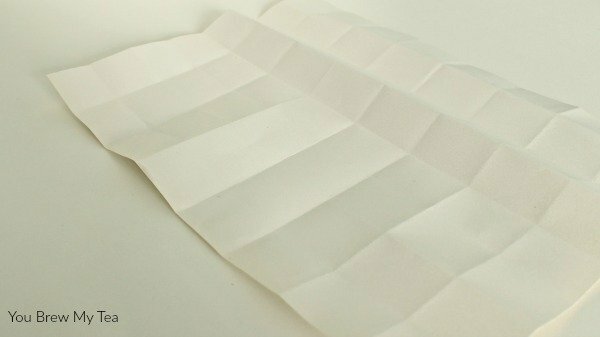 Using the accordion folds, take the paper with four folds up and hold them together. 5.) 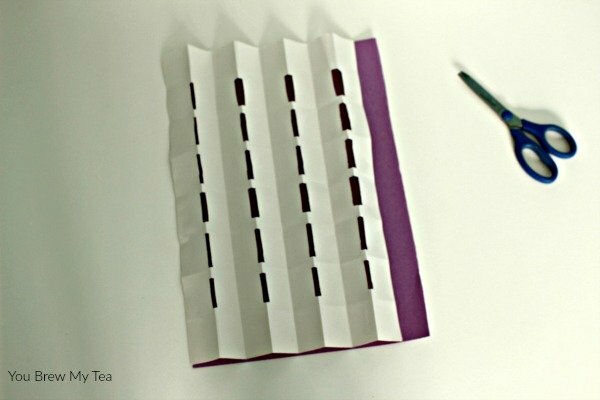 Go down the length of the paper and cut 1 inch long slits into the four folds. 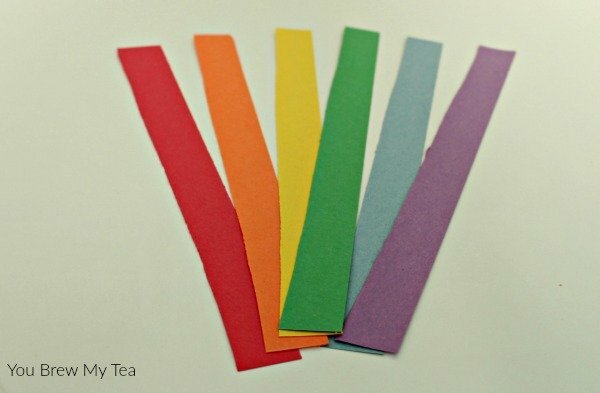 If you are doing a rainbow, you will want to have 6 slits down the length of the paper. 6.) Open up the paper to reveal the slits and flatten out the paper so that your child can start weaving. 7.) Let your child weave the paper into the slots until completed. Use in a math class for counting the number of folds or strips used. Use in art for learning more about the way primary colors mix to bring a rainbow of colors. 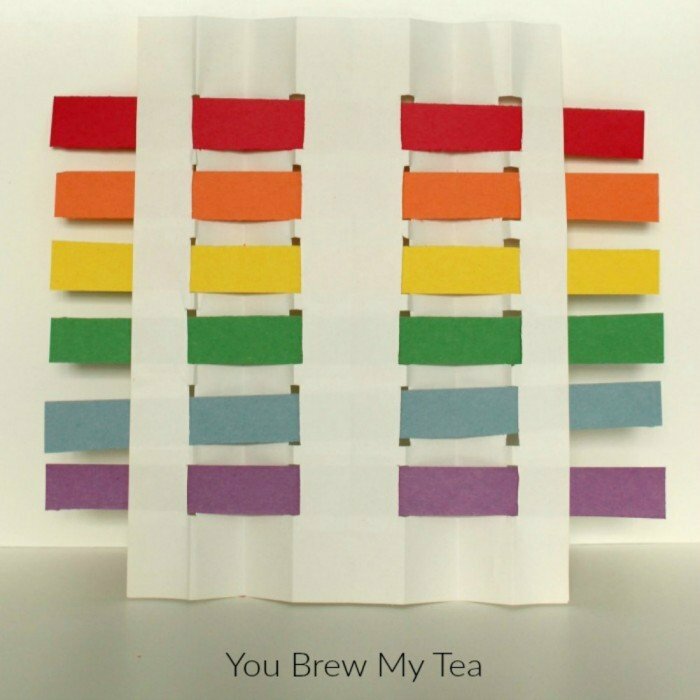 Use in science to learn more about light filters through a prism to create a rainbow of colors, or how the rainbow often comes out after rain. What’s The Difference Between Lenses, Prisms & Other Scientific Things? 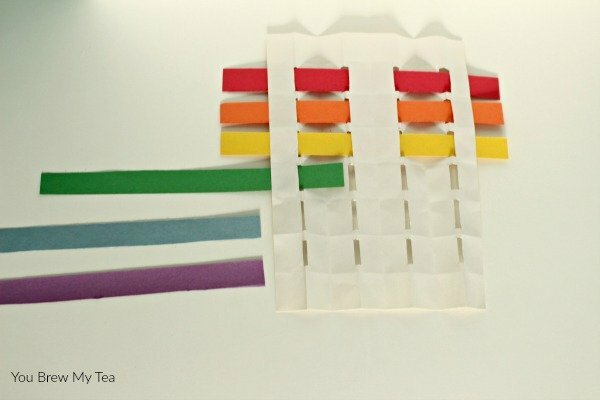 Building a fun lesson plan around this paper weaving kids craft idea is a perfect idea! 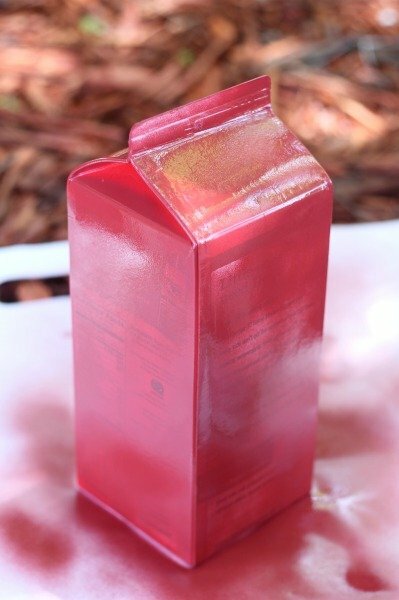 Kids will love the focus on a fun project, and it will give you a chance to help them with an art project! 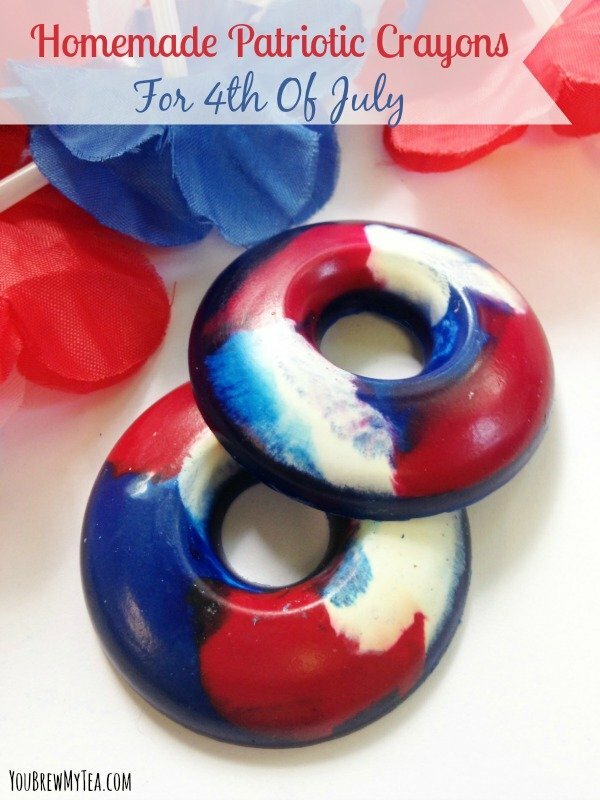 Don’t miss our other fun crafts and homeschool ideas! My friend Amanda from It’s A Fabulous Life created this adorable Minions Door Wreath and is letting us share it here with you this week. We loved Despicable Me, and the Minions of course became a favorite in our house. We can’t wait for the Minions movie be in theaters this summer! I am sure it will be a great movie to add to our collection! This fun Minions Door Wreath is a great decoration for your front door, kids bedroom or even a fun birthday party decoration. 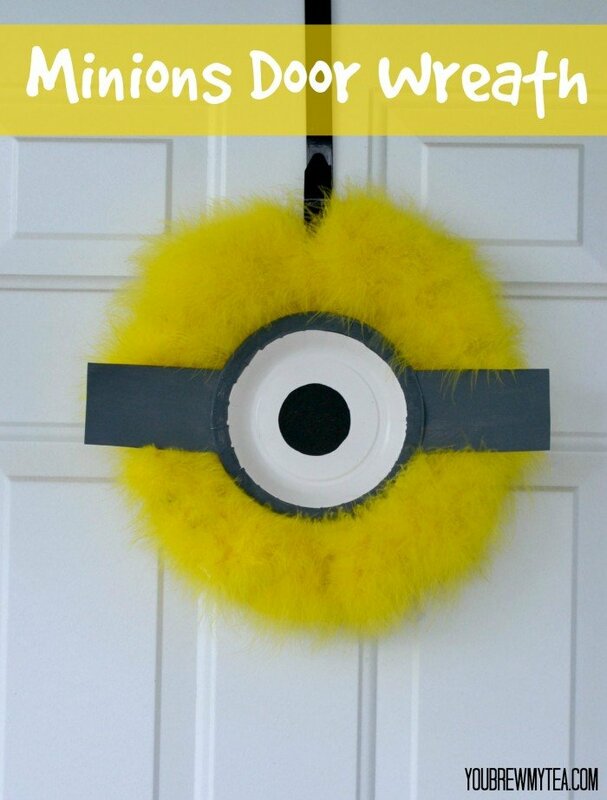 With the Minions movie coming out this year I am sure there will be tons of Minions themed birthday party ideas and games, and this wreath is a great addition to any party! This simple wreath will take just a few minutes to throw together. You’ll want to allow some time for paint to dry before assembling all of the pieces, but overall this is a project you and your kids can do together on a weekend afternoon. 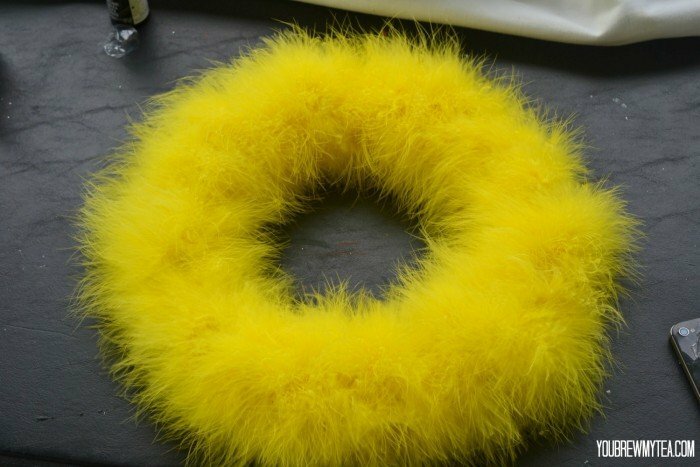 Start by tying one end of the yellow feather boa to the wreath. You can use twine, wire or simply tie the boa itself directly to the wreath. You’ll then wrap the boa around the wreath until it is completely covered. Depending on size and type of wreath you purchase, this could take 1-3 boas. For thicker fuller wreath you can add additional feather boas. 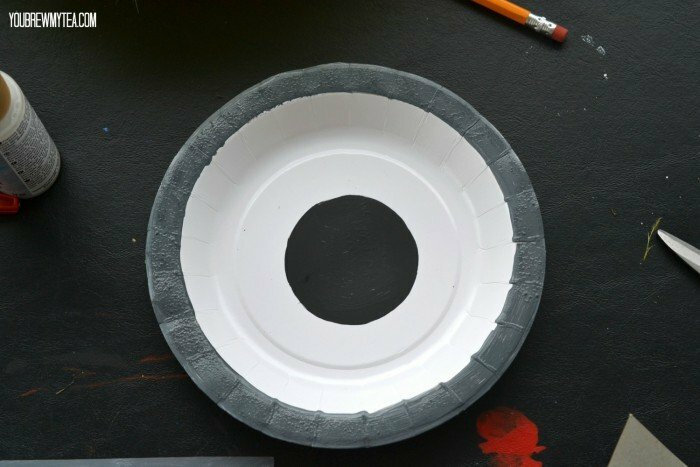 In the center of the smaller paper plate, create a black circle in the center with paint or marker. Use the grey or blue paint to paint the outside rim of the plate. If you can’t find blue or grey card stock – paint a piece of plain card stock and allow it to dry. 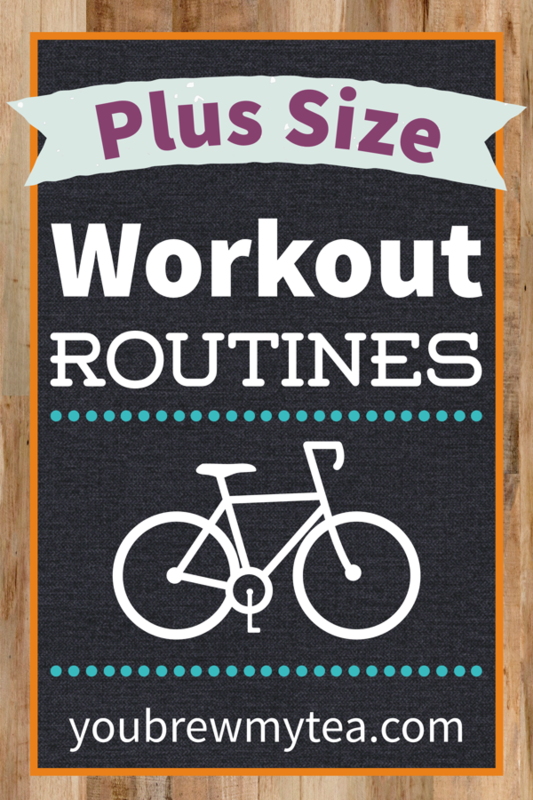 Once the card stock has dried, cut it into two pieces measuring 4 1/2″ x 2 3/4″. Turn the larger paper plate upside down. Place hot glue around the rim and set the wreath on top of it. Flip your wreath over so the plate is on the top side. 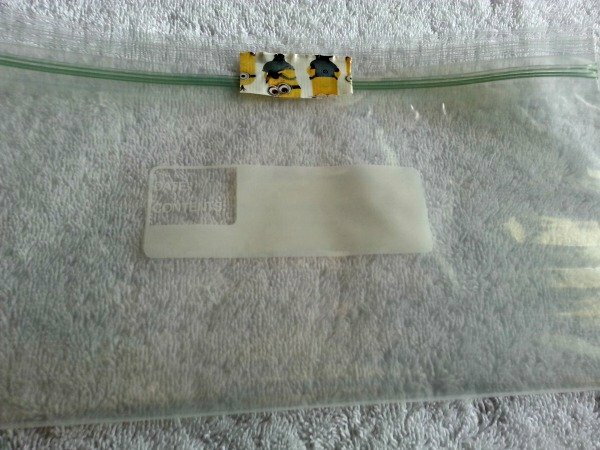 Use hot glue to attach a piece of card stock to both sides of the plate. Attach the smaller plate to the center of the larger plate creating the eyeball of the minion. 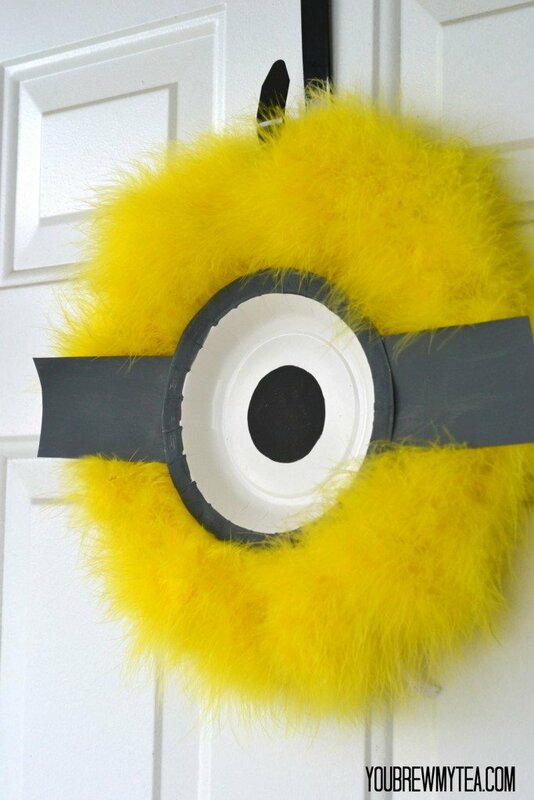 As you can see, this Minions Door Wreath has a few steps, but is really pretty simple to put together with your kids. 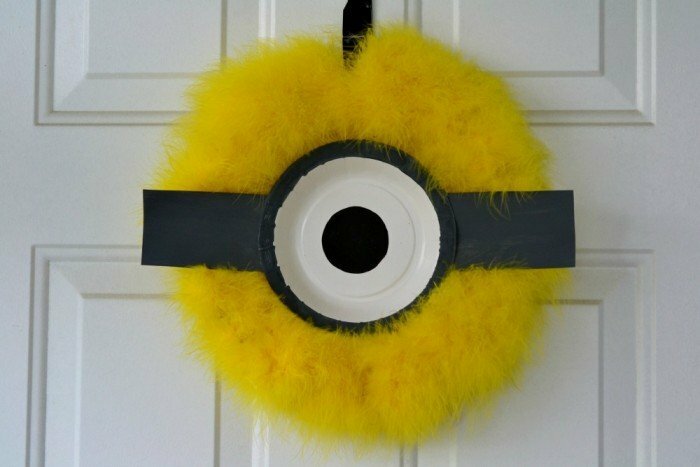 Make several and hang them as decorations for a birthday party, or in a kids room that has been decorated in a Minions or Despicable Me theme. Check out these other Minions crafts and birthday party ideas! 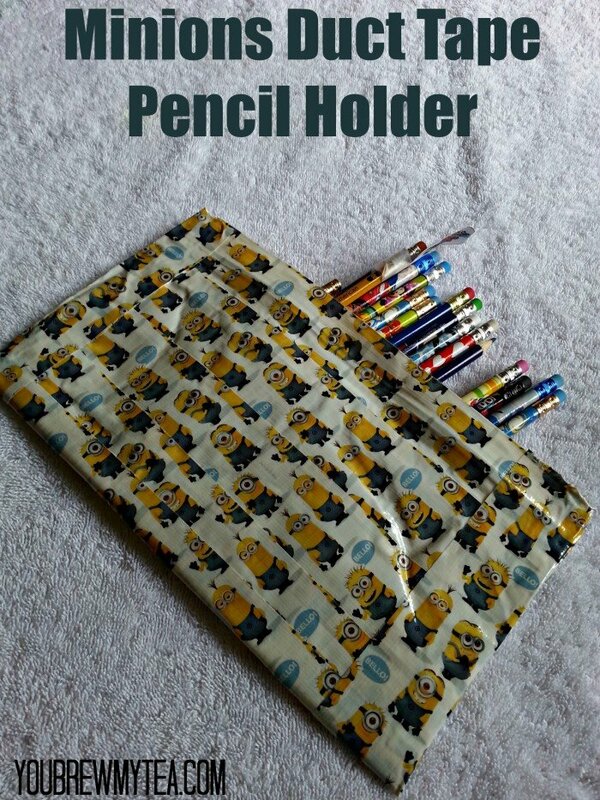 The Minions movie this year inspired us to make this Minions Duct Tape Pencil Holder for the Wee Child. While he can and likely will use it for school this fall, we love how he could load it up and take it with us on vacation this summer as a durable and fun case for his pencils, pens, highlighters and crayons. 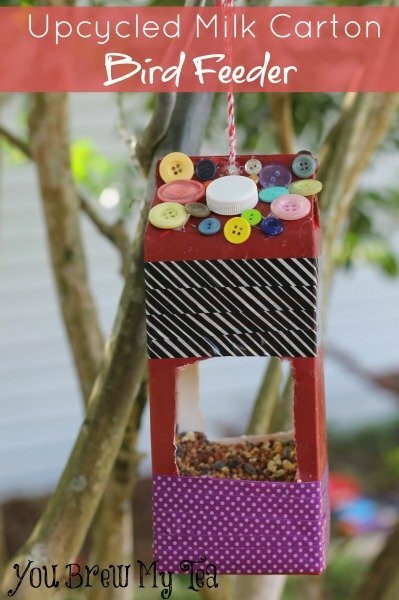 It is super easy to throw together, and seriously a cheap project for kids to make. 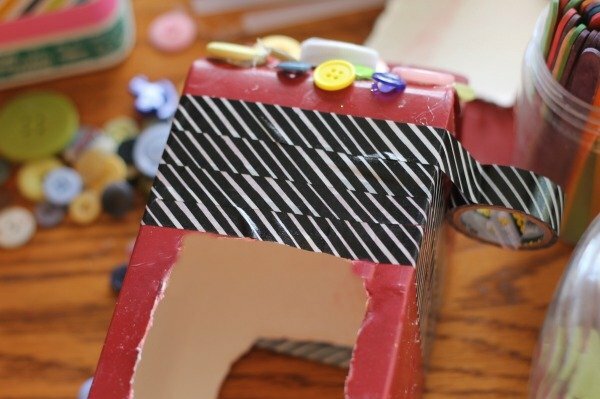 Duct Tape crafts are tons of fun for everyone. Duct Tape in solid colors as well as crazy fun designs can be found for under $5 a roll in retail stores, hardware stores, craft stores and online. 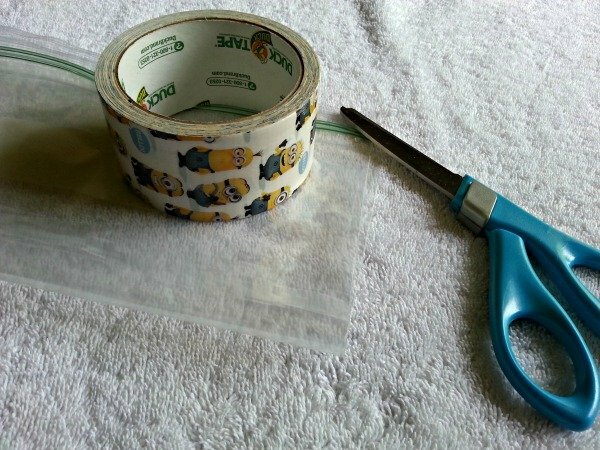 Since most Duct Tape crafts like this Duct Tape Minion pencil case are almost entirely made from the tape itself, it is also seriously cheap way to entertain kids all summer long. We grabbed this Minion Duct Tape at our local Michael’s craft store on sale a few weeks ago. 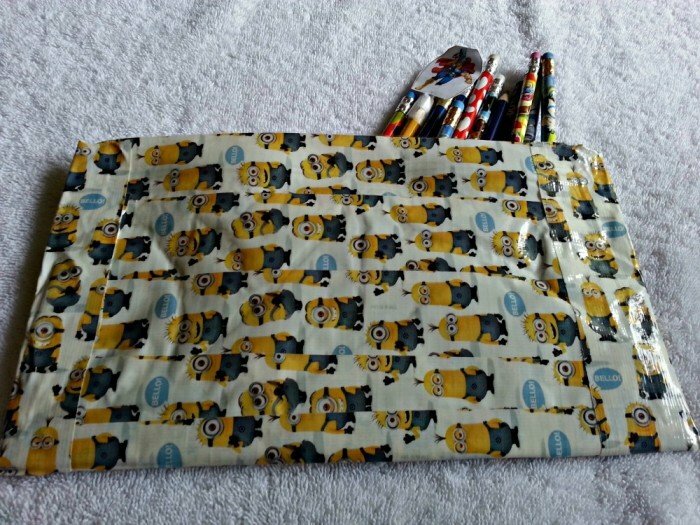 We grabbed scissors and a simple gallon sized Ziploc baggie to create our fun Minion pencil case. The Wee Child loved helping make this, and made it a lot easier to have extra hands on deck. First you fold the baggie in half. I secured it with a bit of tape at the top to make the next steps easier. You want the zippered portion to be a bit higher than the bottom of the bag. 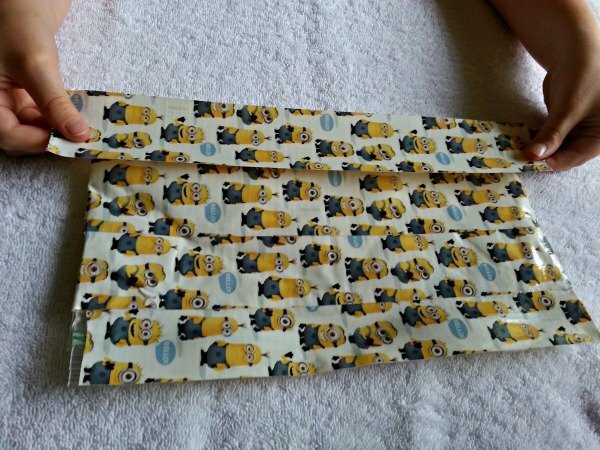 Next you take strips of the Minion Duct Tape and begin at the top laying flat on one side of the baggie until covered. Flip it over and do the same on the back. You can take your time to specifically match patterns, but with the Wee Child involved and wanting to do it “himself”, it ended up we just made sure it was covered instead of working on the pattern for this one. We added an extra strip of tape across the sides to seal it. 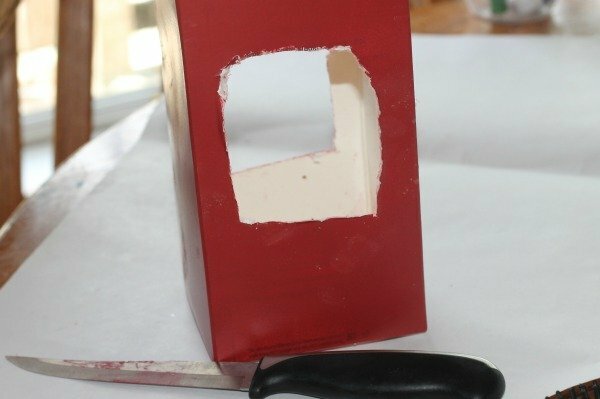 As you can see, it is a totally simple, easy and fun craft for kids to make. Since the Minions movie is coming out this summer, it is a great addition to birthday party crafts, back to school prep or just a fun way to spend a summer afternoon! I know the Wee Child loved being able to make something all on his own with Duct Tape. 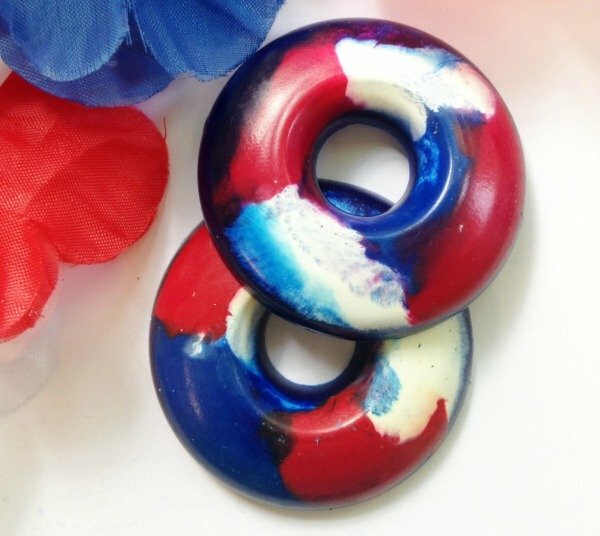 You can grab so many different colors, designs and make thousands of different fun crafts! Add this Minion Duct Tape pencil holder to your list of fun summer crafts to make this week! 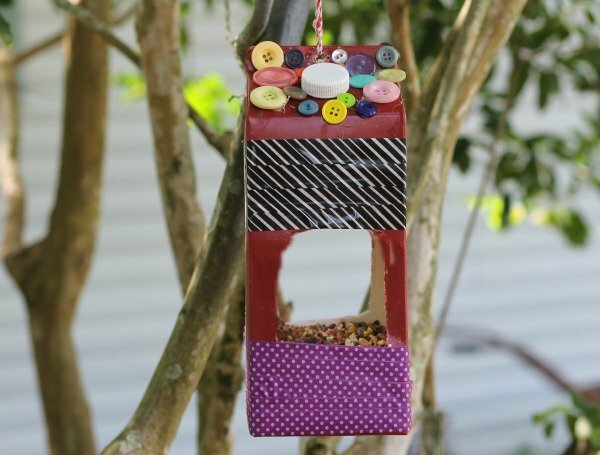 Check out out other favorite kid friendly crafts!